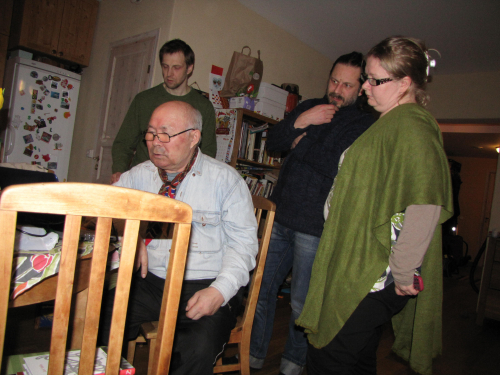 On March 9th 2013, Yuri Vella met in Tallinn his Finnish translator Karina Lukin and his Estonian translator, prof. Art Leete. On March 10th 2013, before leaving Tallinn with the train Tallinn-Moscow, he had a meeting in the organisation Fenno-Ugria. 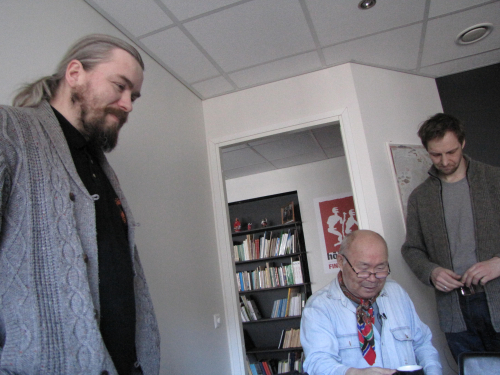 There he met Kaur Mägi, Taavi Tatsi and the writer Indrek Koff. 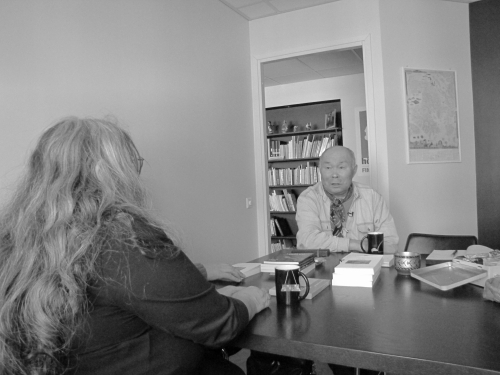 Jaak Prozes made an interview for the cultural paper Sirp. At the beginning of winter (before the New Year), we met on the reindeer pasture where last year the forest burnt, a Kogalym forester with his assistant. They informed us that from summer 2013 on, a loggers’ brigade shall cut the burnt forest and heavy machines will carry the timber away. 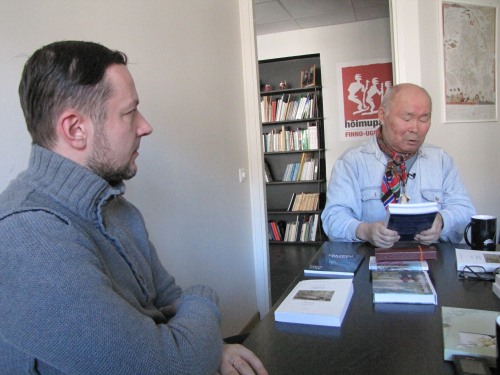 Yuri Vella received the Mamin-Sibiriak award for his collection of prose “Ветерок с озера”, “Breeze from the lake” [PDF to be posted soon]. This award is given by the Ural region’s writers organisation. Liivo Niglas has received the first ever IUCN Film Award for the Environment. As part of the annual film festival, Visions du Réel, a 5000 Swiss Franc cash prize went to the Estonian-born film-maker for Yuri Vella’s World (Juri Vella Maailm).